Ao wa ai yori idete ai yori aoshi. Indigo comes from the indigo-plant and is darker than the indigo-plant. This metaphorical expression of Chinese origin is generally applied to a pupil who outshines his or her master in any profession or trade. Much the same meaning is conveyed in another proverb which, being literally translated, means “Ice comes from water and is colder than water.” The words “ao wa” are as often as not omitted in quoting this “indigo” proverb. This is a metaphor referring to a person disappointed and dejected. Another proverb says that such a person looks like greens after boiling water has been poured on them. A job before breakfast (asameshi). The phrase “asameshi mae” is generally used by itself. The usual word for “breakfast” is “asagohan.” Such expressions as “it’s child’s play” and “that’s a cinch” are the equivalents. him; he can make short work of that kind of problem “before breakfast,” as your Japanese phrase has it. 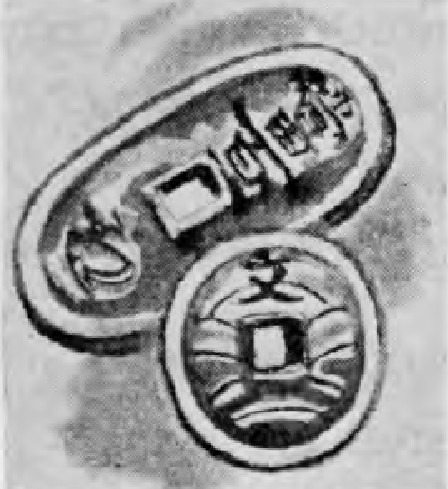 Asaoki wa san mon no toku. Early rising earns three mon. This Japanese equivalent of “The early bird catches the worm” often but erroneously begins with “Hayaoki” (early rising), because the word “asa” by itself means “morning,” and not “early.” This may remind the reader that people often say “doubly” when quoting or rather misquoting the Shakespearean expression “make assurance double sure.” Mon was the smallest of the old denomi¬nations of Japanese money; it is no longer used. Some of the earliest postage stamps issued in Japan bear the ideograph for mon, a fact which may interest philatelists. A bird (tori) starts up from near one’s feet. This is said of an abrupt occurrence. 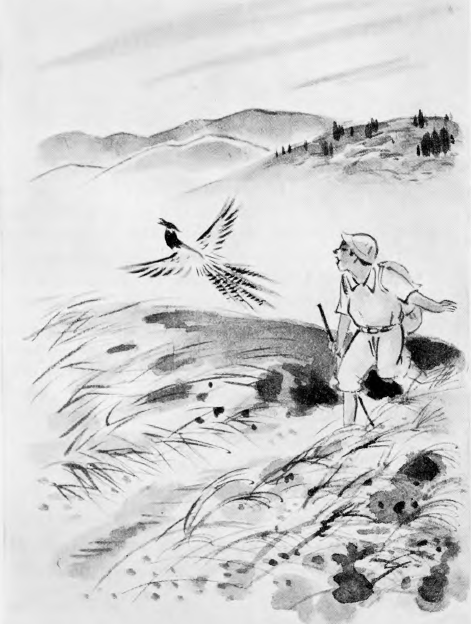 It is a common experience for a man going shooting to see a pheasant flap away all of a sudden from under his very nose. Asu ari to iu koto nakare. Asu no hyaku yori kyo no goju. Fifty of today rather than a hundred of tomorrow. Asu wa mata asu no kaze ga fuku. Tomorrow there will be another wind blowing. There are quite a number of proverbs referring to “tomorrow” (asu) in the Japanese language. This one here means that tomorrow will take care of itself. Another one says: “Asu wa asu, kyo wa kyd” (Tomorrow is tomor¬row; today is today), which means that times change and things assume different aspects at different times; things are here today and gone tomorrow. Instead of saying “Leave tomorrow till tomorrow,” the Japanese say, “As to tomorrow’s things, worry about them tomorrow” (Asu no koto wa asu anjiro). Still another says, “Talk of tomorrow, and the rats behind the ceiling will laugh at you” (Asu no koto o iu to tenjoura no nezumi ga warau) which is synonymous with the still more popular proverb “Talk of next year, and the devil will laugh at you.” “Be not therefore anxious for the morrow: for the morrow will be anxious for itself.” —New Testament. Atarashii tatami demo tatakeba gomi ga deru. Even new tatami (floor-mats), when thoroughly beaten, will give out dust. If you pry into the private affairs of other people, you are likely to find that they are not free from shortcomings. The floors of most rooms of a Japanese house are covered with thick mats called tatami. Though shoes are not worn inside a Japanese house, the tatami easily gather dust, as may be expected. Since a vacuum cleaner is of little use for tatami, it is the custom with the Japanese to take them outside, at the time of spring cleaning, and dust them by beating them with a stick. Hence, this proverb. Another tatami proverb goes, “Nyobo to tatami wa atarashii hodo yoi” which means “Wives and tatami are better when new and fresh.” (Cf. New brooms sweep clean.) The grossness of this insult to one’s better half is tempered with the reasonableness of another humorous proverb, Nyobo to nabe-kama wa furui hodo yoi (Both wife and pot get better with age).